What to look for when buying a used BMW X3? The BMW X3 was introduced in 2003 as a new type of "Sport Activity Vehicle," a cross between a standard crossover and a station wagon. 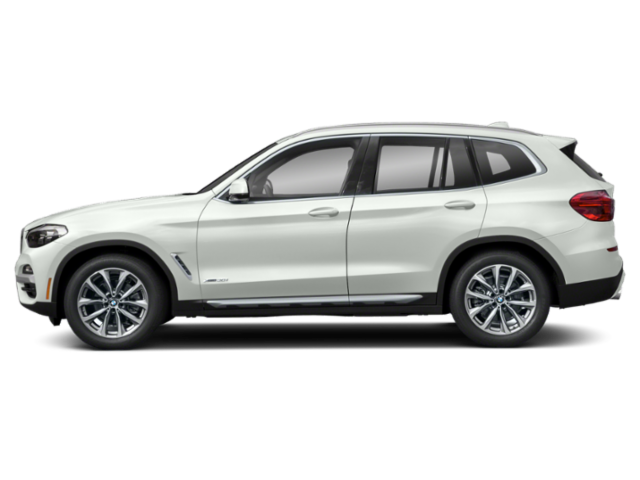 Billed as emphasizing sport and capability for getting to where the fun is, the X3 became a popular choice for BMW buyers. Several X-line vehicles are now sold as five-door SAV vehicles. All X3 models are designated by a three-digit alphanumerical designation giving its engine size and drivetrain. The X3 is now in its third-generation. The first-gen X3 was based on the 3 Series platform. It was introduced as a concept in 2003 at the Detroit Auto Show and later as a production prototype at the Frankfurt Auto Show. Its first production year was 2004. All-wheel drive was standard, through an electronically-controlled system, and styling for the X3 was (and always has been) similar to the larger X5 crossover-SUV. Engines in the first generation included four- and six-cylinder gasoline and a four-cylinder diesel. In 2011 the second-generation of the BMW X3 was introduced with a new body design a larger size, and production moving to the United States. New engines and transmissions were also introduced, including a now-standard eight-speed automatic transmission with all-wheel drive; with one exception, The sDrive28i was introduced as a sport variant with rear-wheel drive only. Engines included a turbocharged four-cylinder gasoline and diesel options, as well as a six-cylinder gasoline engine. A mid-cycle refresh was given to the X3 in 2014. For 2018, a third-generation X3 has been introduced to include new engines and a plug-in hybrid version similar to the X5 PHEV. The X3 is generally considered reliable by most consumers with few complaints, mostly centering on the first-gen X3. Transmission failures on high-mileage 2004 models can happen, as can oil leaks. Some non-turbocharged gasoline models from the 2013 model year have engine hesitation issues, but this known issue has been addressed by dealership trouble bulletins and is easily remedied. What is the average price for Used BMW X3? How many are for sale and priced below market? Where does used BMW X3 rank in comparison to competitor vehicles? What Is The Average Price Of A Used Bmw X3 By Model Year? What Is The Average Price Of Competitor Cars To The Used Bmw X3? What Is The Average Price Of Used Bmw X3 In The Top 10 Cities? The 2017 BMW X3 is a compact luxury crossover that somehow stands out in a sea of competition. This segment is one of the fastest-growing in the US and the X3, despite having some age compared to its rivals, continues to set benchmarks that others strive to achieve. The 2017 X3 is marked with a luxurious design, excellent and sporty handling, smart engine choices, and a thoroughly lovable nature. For 2017 a few changes were made to the popular crossover, starting with an update to the latest iDrive interface for infotainment, some option shuffling and standardization of amenities in many trims and packages. Now seven years old in this generation, the 2017 BMW X3 remains spacious, fun to drive and practical, while keeping that signature BMW driver-centric appeal. As it's always been, the only Achilles heel for the X3 is in its price tag versus some competitors. Though an overview of the vehicle shows that the bang for the buck is definitely there, if your priorities are in line with the X3's offerings. The 2017 BMW X3 is a five-passenger compact luxury SUV that comes in four trim levels, each with a different powertrain setup. Both front-wheel (sDrive) and all-wheel (xDrive) drive are available. The 2013 BMW X3 is now in its second generation of production and blazing a trail to become one of the best-selling small luxury SUVs available today. The only detractor to the purchase of this luxury automobile may be the price itself; it is definitely on the luxurious side of the scale. Still, for those looking for comfort, class and style, the 2013 BMW X3 does a nice job of offering everything the X5 offers in a smaller package.